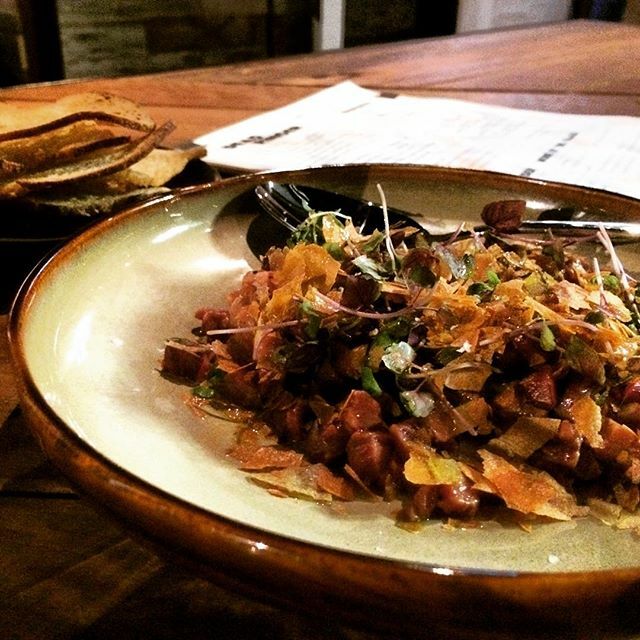 It’s no secret that the team behind Sydney’s Bulletin Place are something of a supergroup. A series of old friends and successful solo artists, bought together by a creative endeavor they truly believe in. The raw impact hits you on entry, hospitality done well for the cities weary drinkers. So then, what to expect when the group goes to ground for months in the creation of second offering? Would they be one-hit-wonders? Would this be full of experimentation and the things that simply couldn’t fit upstairs in their diminutive city haunt? Would Tim end it all by insisting that a pygmy orchestra be trained and flown in for the launch party? 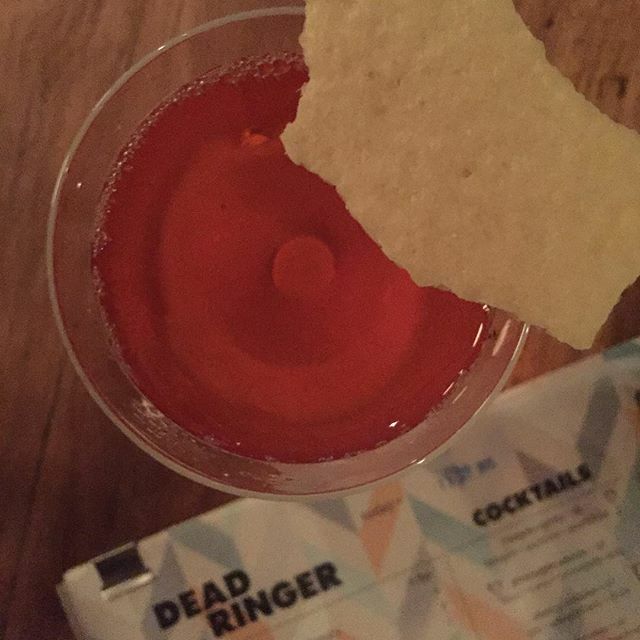 It was with all, and none of these thoughts crowding my head as I visited Dead Ringer last week. 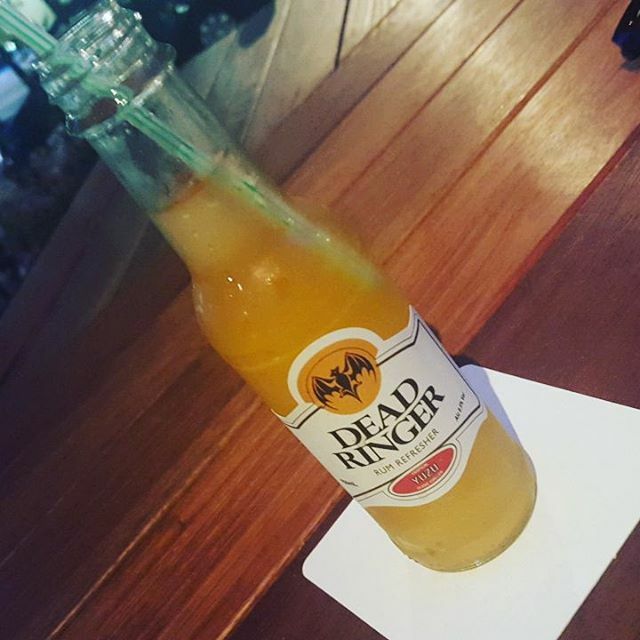 Built on the bones of other bars in Bourke Street, Dead Ringer is not Bulletin Place. Just the sort a solid second album you’d expect from a group of this caliber, things are noticeably more refined this time around. The boys are smart enough to have not wasted their money here but the finishes feel refined and well produced. Food is very much on the menu here, with twice as many dishes as there are cocktails. The pig jowl terrine and the chicken liver parfait are early fancies of the instagram crew, but even Tim’s signature $27 dollar olives (real price $7, but we all are watching Yelp for some outrage) are worthy of note, warm and textured, perfectly salty and demanding of the next drink. And what drinks they are. 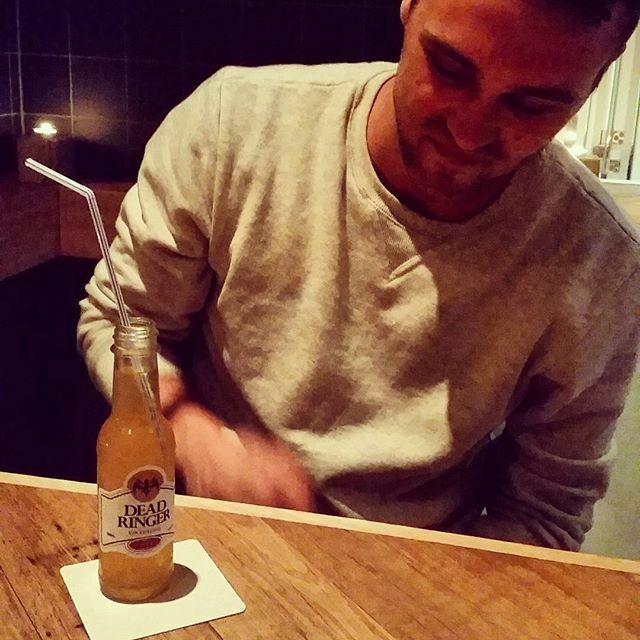 The self-titled mainstay Yuzu Breezer is set to be the most instagrammed drink in Sydney. 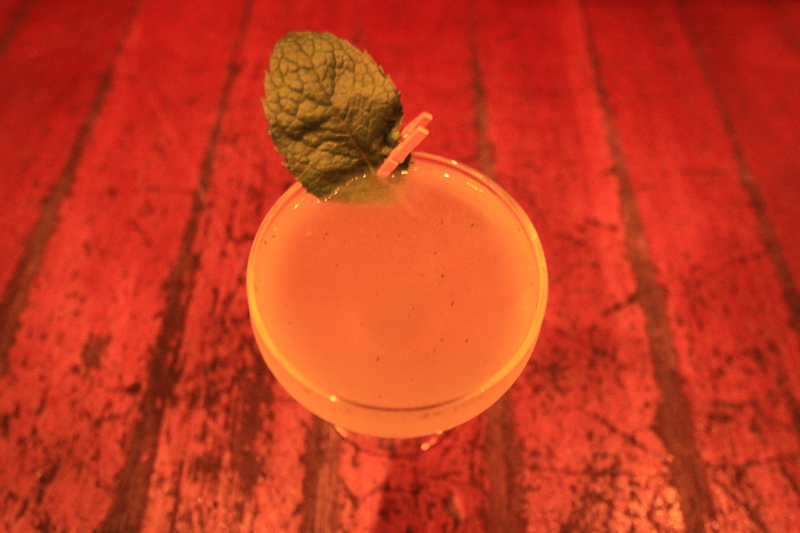 The refreshing, yuzu and grapefruit acid nestles down with the rum and a little fizz. This update to the love-hate alcopop format is everything an RTD should be, the only conceivable improvement would be a hashtag on that label to try and keep track of the spread. 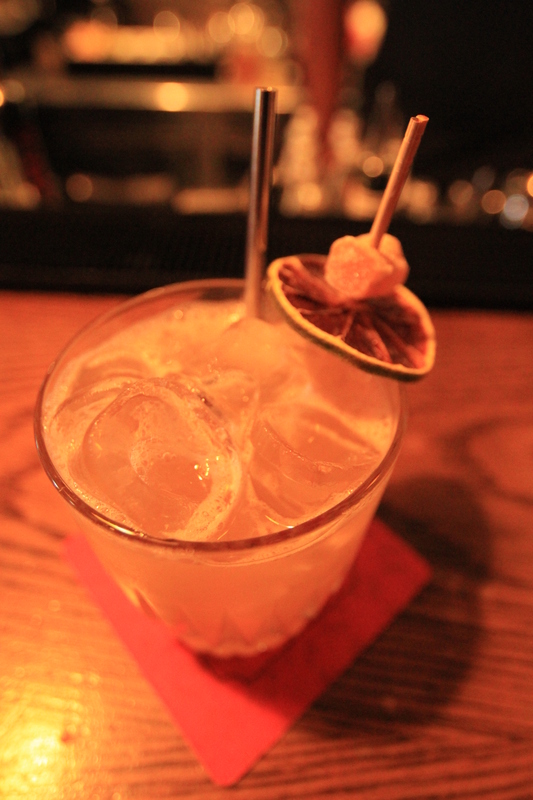 The sherry cobbler and pineapple adonis showcase the soft spot the group has for sherry. The fresh elements that gained them fame are all present, but presented in ways that show the benefits of spending some time in the studio while the finer points of this opening were worked out. 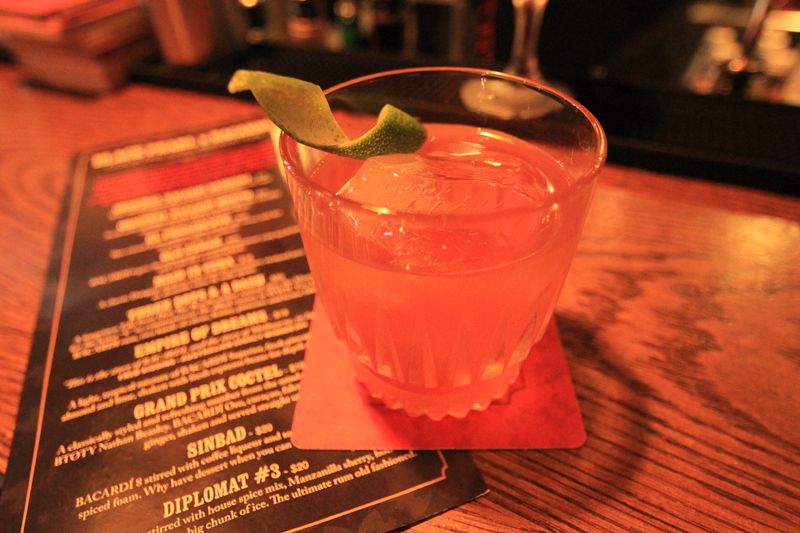 The cheek and chat can be more than seen in the nod to its Surry Hills environs, the obligatory – an old tequila, cold rip coffee and maple concoction which proves sarcasm can indeed be made to taste like heaven. The track-listing lends the drinks to be paired along with dining, I’ll be back to see how that works. I’m not sure it leaves me as giddy and excited as the raw charm and refreshingly refined drinks concept on show each night upstairs at the original BP, but that said DR is probably better on many measures. Hands down my favourite feature is having more seats around the bar, with all the more chance to interact with the talent that resides behind it. Early fans are like that though, always chasing the thrill of that first discovery, clinging to the fact they discovered it early as a way to stave of the personal and publicly identifiable madness that comes with fond obsession. For the bright eyed crowds walking the Hills of Surry, discovering the second one first will be as intoxicating as it was for those of us lucky enough to be there at the beginning. 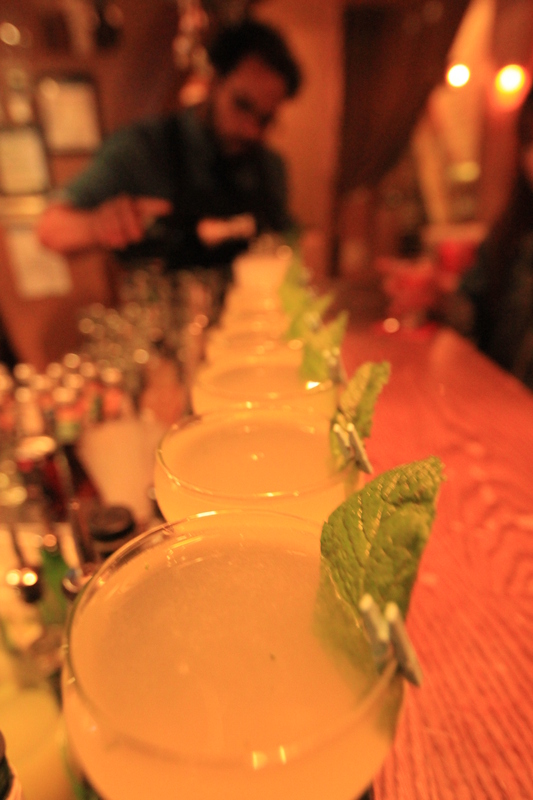 They’ll be blown over by the things that have become the signature sounds for this group, wherever they ply their trade: True hospitality and a feeling of welcome and enough staff to make sure everyone is looked after, really well made drinks that stand up to classics but showcase fresh local ingredients. Keep rocking boys, I’ve put you on repeat. 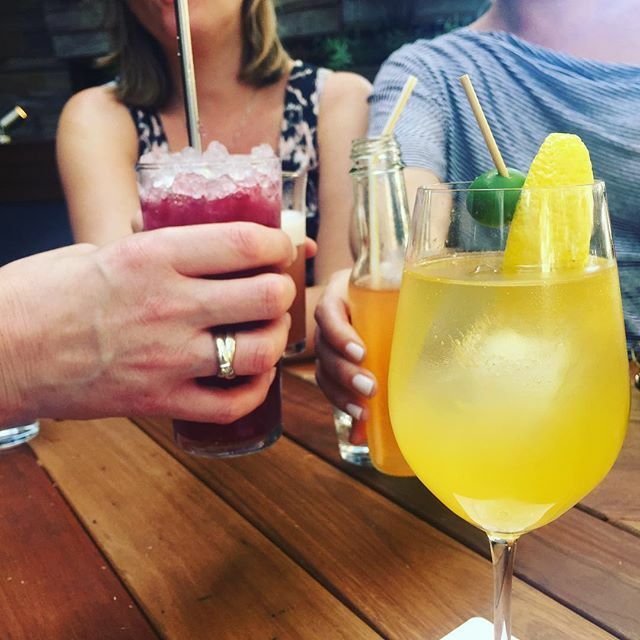 Props to @callanboys @cocktailgirl @mixingdrinks @thedrinkbubble and @urbanchicguides for the pilfered instasnaps. 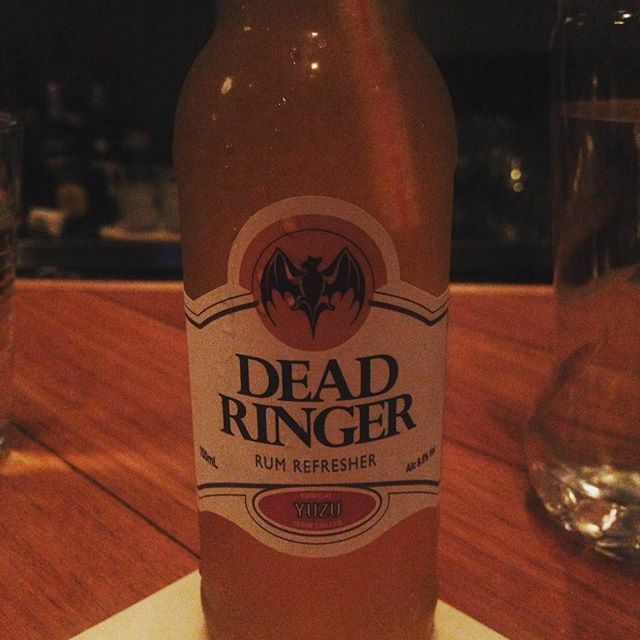 Follow them on instagram for more drinks than you could ever imbibe on your own. I’ll be the first to admit, I’m late to the party on this one. 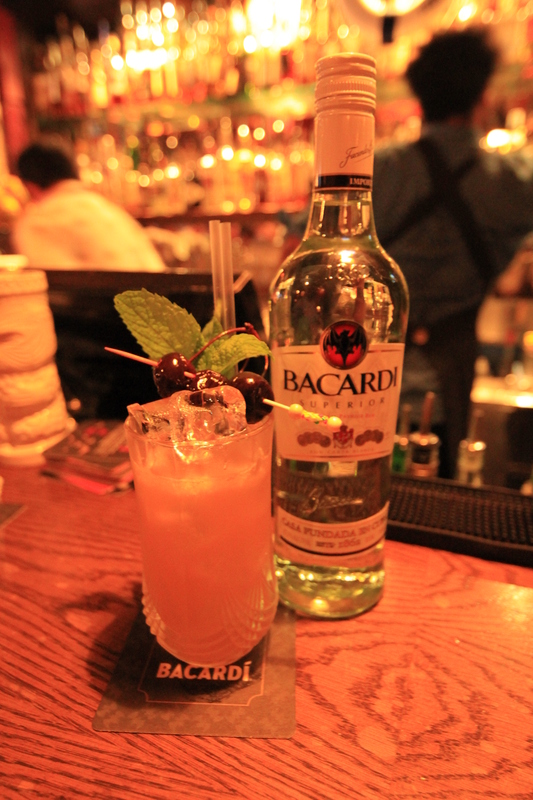 For the past six days the crew at Black Pearl have been part of a collaboration with Bacardi, leading up to tonight’s Legacy Cocktail competition final. What it means for you is a list of 10 Bacardi cocktails, including Fred Siggins’ excellent Empire of Dreams, are up for grabs from one of the most talented bar teams in the country. Get down there tonight to try some of these great drinks and stick around for the party when the Australian winner of tonights Legacy comp is announced. In case you’ve never been, the Black Pearl can be found on Brunswick St in Fitzroy, number 305. Melburnians. Forget the Cup and put your money down on this. 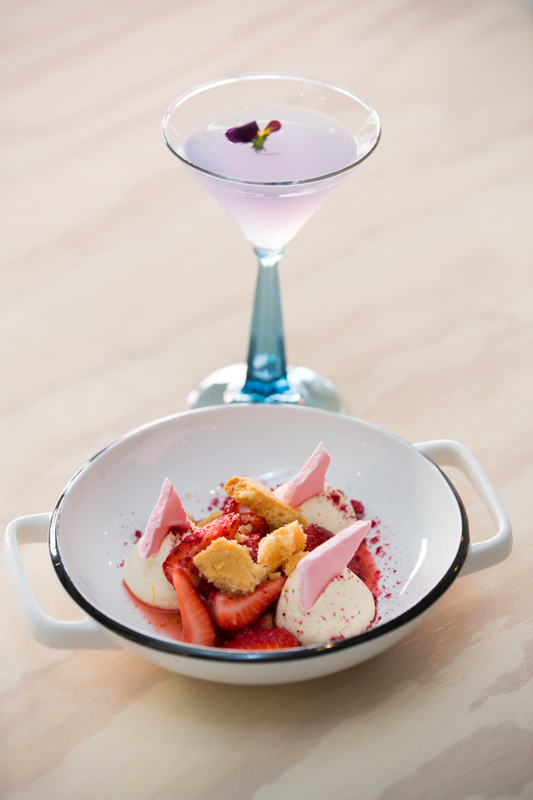 Turns out that #baxterchef isn’t the only person from Masterchef willing to turn their hand to pairing dishes with cocktailian creations. 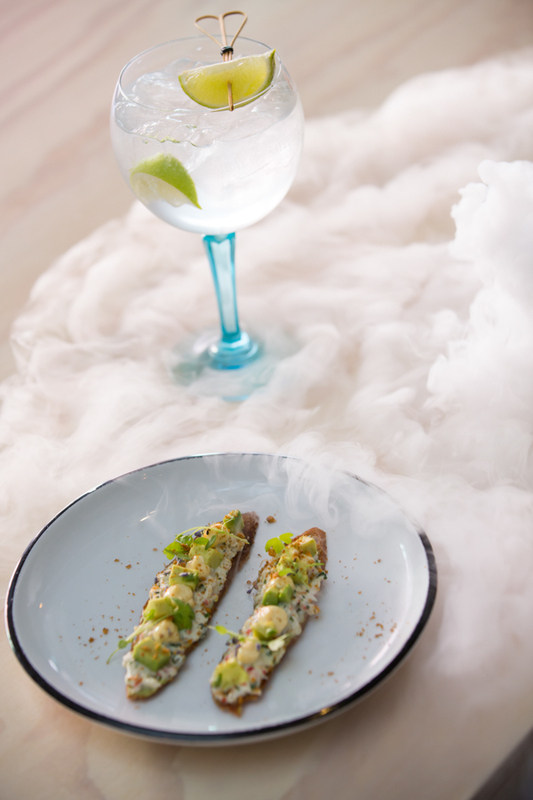 Bombay Sapphire are stepping things up a notch with MasterChef judge Gary Mehigan, matching 10 dishes with each of the botanicals which give Bombay Sapphire its world famous taste. The ‘Urban Turban’ Raj Nagra has put his head together with Sean Forsyth on the cocktails and will be returning to his homeland to celebrate and invigorate the trade. 35 smacks gets you 2 dishes and 2 cocktails, with the option of buying more should you be hungry, thirsty or just greedy. The event is running at 64 Sutton, a new warehouse venue on the cities upcoming Northern fringe. Places are limited, and it is all only going down between the 10th of November and the 6th of December. www.projectbotanicals.com.au for all the details and tickets. DISCLAIMER: My team and I are working with Bombay Sapphire to bring this idea to life. Grab your fixie, sling your pug in your backpack and pedal uphill to your nearest bottle store Bondi Hipsters. You can buy vodka made from nature’s ancient grain superfood, Quinoa. Double bonus if you’re still claiming to be somewhere on the celiac scale too, this bad boy is gluten-free to boot. Seriously though, the liquid is worthy of your lips and the story really does stack up. The Fair story starts some nine years ago, before the breakfast du jour was an organic quinoa porridge with roof foraged honey and house cultured yoghurt. Nine years ago breakfast sophistication was a Four’n’Twenty and a strawberry Oak for most Australians. The Frenchman behind Fair Spirits choose quinoa not for its achingly contemporary credentials but because it was the only grain available in sufficient volume that actually provided a reasonable return 1200-sum small landowners who farm the grain. The liquid comes from an Armagnac still and the taste has real depth because of it. Bigger mouthfeel and flavour than you’d reasonably expect from a vodka, delicious. 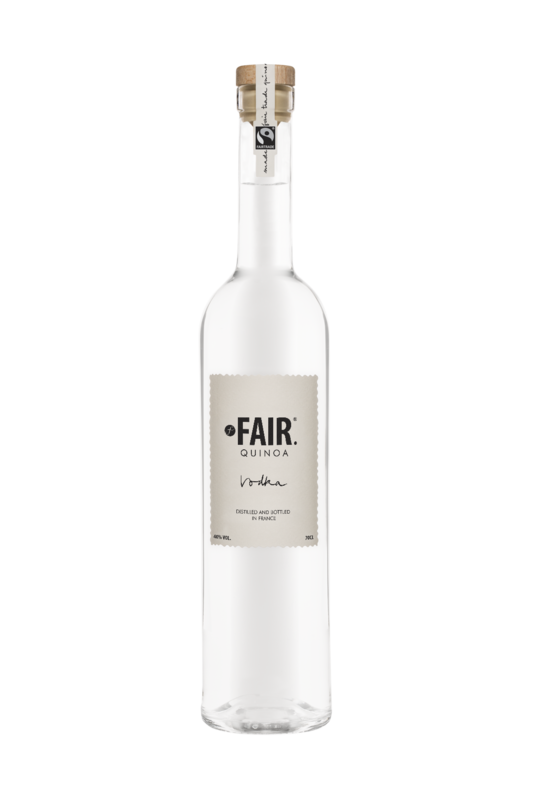 Most of the distribution is in the smaller independents, but keep an eye out for this tasty vodka and it’s beautiful packaging. Get in touch with the Australian distributor if you’re looking for a deal. Gregoire Bertaud is a cool dude. 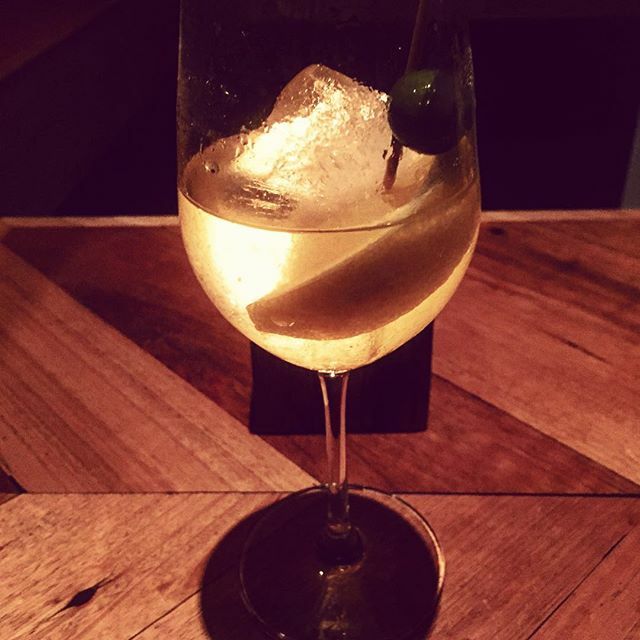 If you’re looking to design a cocktail steeped in hipster madness, they also do a Goji liqueur. 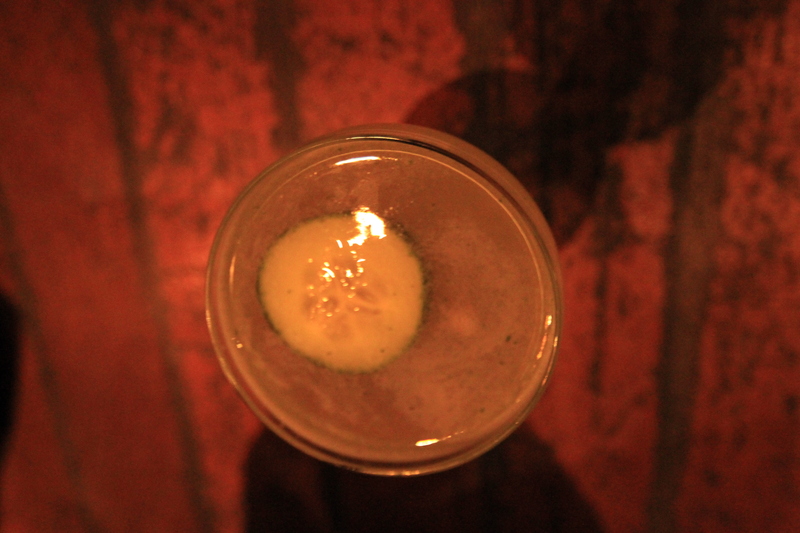 The extremely welcoming welcome drink, Joe McCanta’s Le Fizz. Most brands lead with their credentials. Most brands spend a long time talking about themselves, how their artisanally sourced ingredients are transmuted in branded gold in specially designed hand-packed mud houses by indigenous banjo players. Most brands spend so long talking about themselves I’m too thirsty to truly appreciate the first sip. 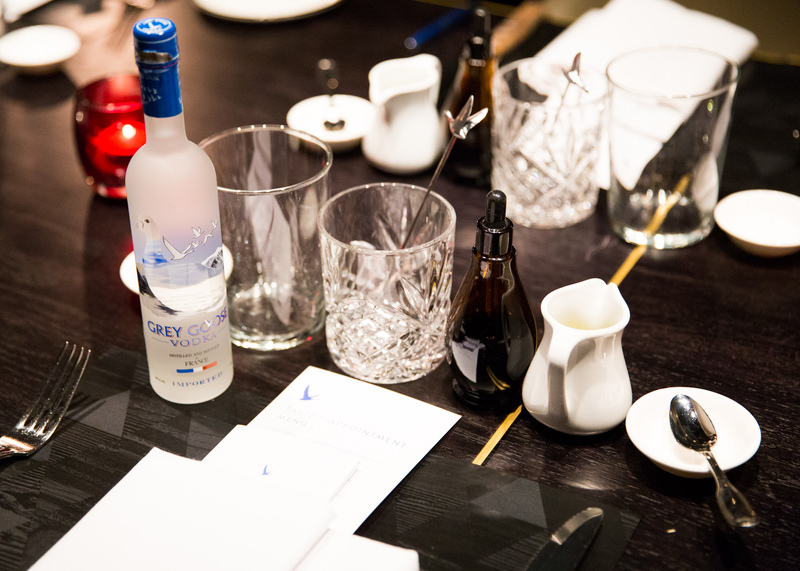 Most brands are not Grey Goose. 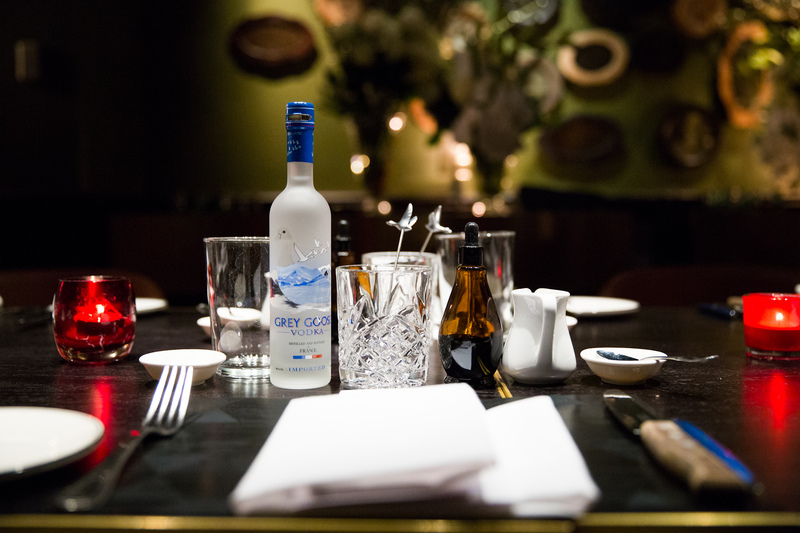 A couple weeks back, I was deemed sufficiently influential to attend #tastebyappointment, the elegant branded consumer experience being rolled out around the world by Grey Goose. Tucked carefully upstairs in a private room at Gowings, the world’s best tasting vodka™ decided to talk not about itself, but about taste and its very personal nature. I commence with a flute of Le Fizz. 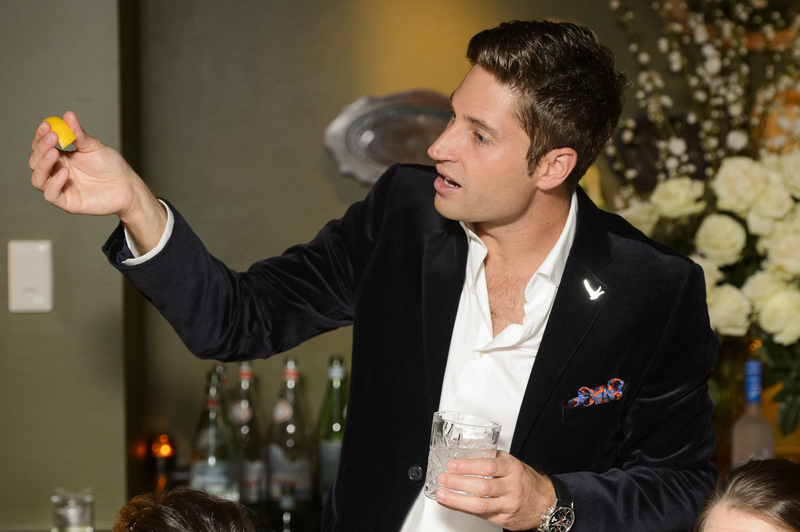 Frustrated by guests reaching not for vodka but for Champagne at events, Global Grey Goose Ambassador Joe McCanta devised this elegant twist on a French 75 to satisfy the style choices of his guests while also driving depletion. The mix of St. Germain, lime juice and Grey Goose is bought alive with a dash of soda. The pleasing result is further proof that everything does indeed taste better for the addition of the beautifully bottled elderflower liqueur. My only complaint is that the first three glasses must have had holes in them, given they seemed to be drained very quickly. Almost too soon I am ushered into a beautifully arranged room and shown a place at the well-set table. In the galaxy of global brand talent, McCanta truly shines. His easy Californian charm holds the rooms attention as he introduces the evening and bids us all to try what turns out to be a yeasty and somewhat average piece of bread adorning our side plates. 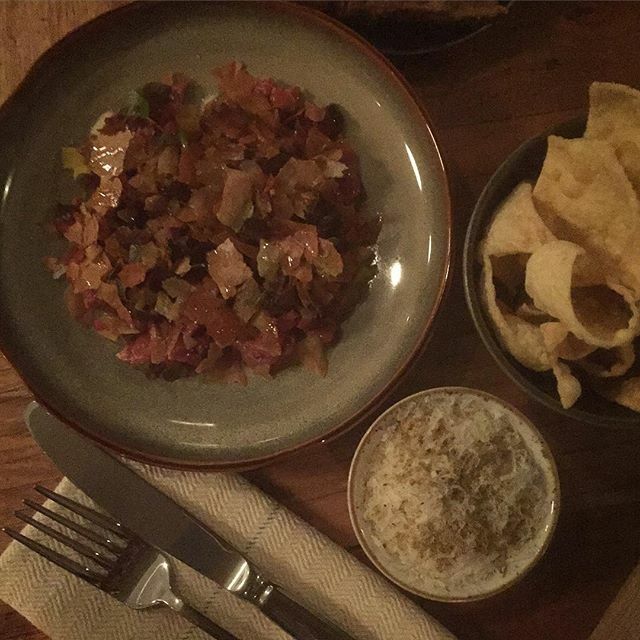 It turns out, the trick of taste is intentional, McCanta has asked the kitchen to omit salt from the mix. A smear and a sprinkle transforms average to outstanding. Salt rocks, if you’ll pardon the pun. Our second lesson arrives as the entree. Three morsels epitomise sour, sweet and bitter. This exercise is about determining our own, unique personal taste preference. Unsurprisingly, things turn out bitter for me. The lesson is reinforced by some cut crystal cocktail making. Building our very own vodka old fashioned tweaked to match salty, sour, sweet and bitter is surprisingly engaging distraction. There is vigorous agreement around the table of our own flavourful superiority. My bottle seems emptier than most. The main is placed before me. The third lesson is about umami. Not a large wave that crushes coastal villages, but the flavour that enhances everything else. Potentially a little je ne sais quoi. 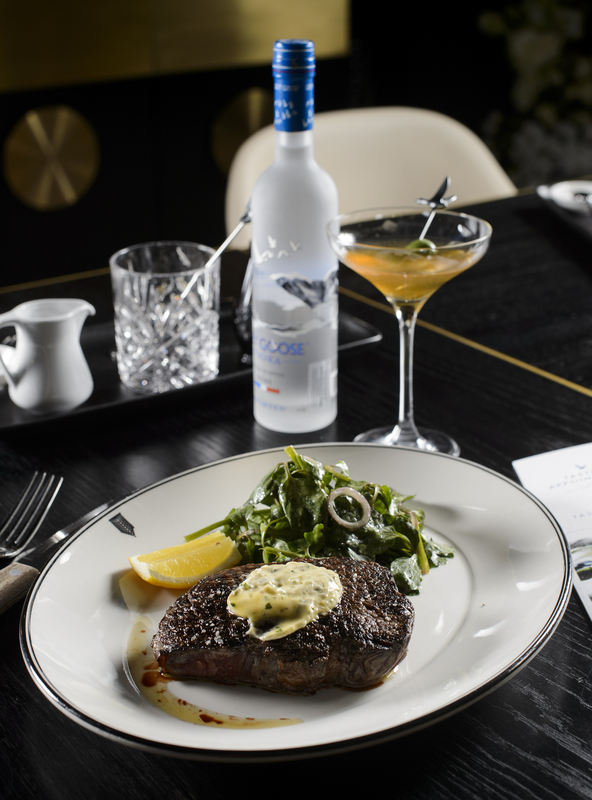 The steak comes paired with a truffle martini. $600 worth of black truffle, sous vide’d into the Grey Goose. James Marcel Bernard Wynn-Williams mentions other ingredients but my head’s too full of truffle to truly take it in. My mind wanders to thoughts of geese stuffed for Christmas. 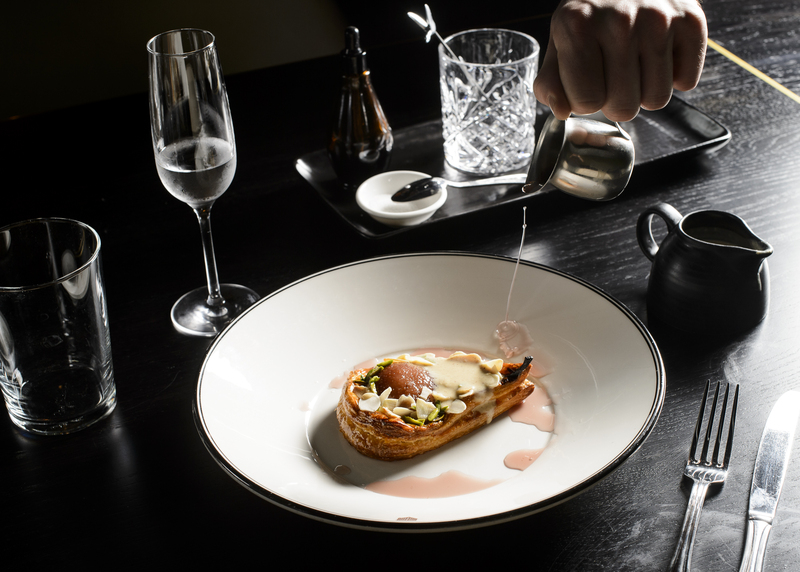 If you want to know what cocktail pairing with food is about, this is a great example. a mouthful of food and a mouthful of cocktail add up to something bigger. Unctuous, in the best possible way. The meal finishes with a little pear-on-pear action. A pear tart with some chilled Grey Goose Poire. The buttery custard and almond crunch saves me from cloying sameness, but it is a hard landing after the tropospheric truffle. I adjourn to the members lounge to pursue my bitter tastes. Choice words and battle stories are shared by the gathering throng. 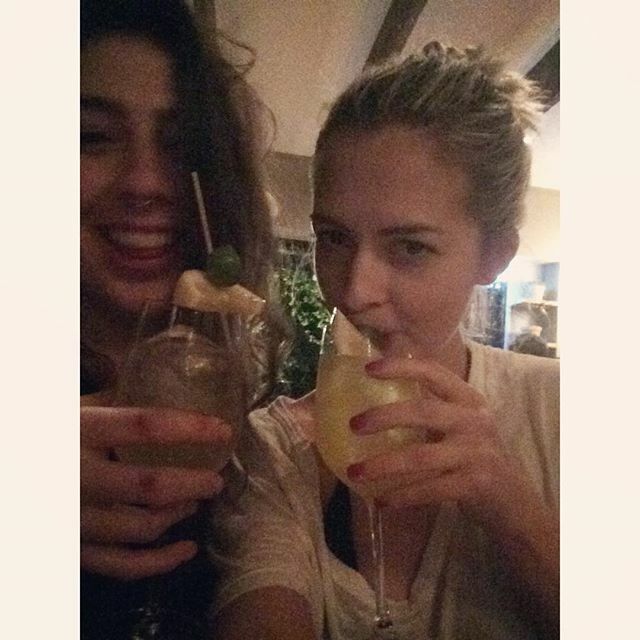 Something about cocktails in space. All too soon I am in a cab atop the Anzac Bridge, peering West across the inky water at Glebe and my home beyond. I am struck by the presentation of a vodka comfortable with who it is. Comfortable to let me connect their brand to my experience. Comfortable enough to let the passion of its people shine brighter than a neon POS display. Most brands simply talk about themselves. A while back I had the pleasure of spending a couple of hours with Iain Macmillan, master distiller at Tobermory and Ledaig, amongst a handful of other independent distilleries producing unchill filtered treasures off the West coast. He was a smart and hilarious companion, and thoroughly (hopefully) eclipses my many ums in these four videos for Dan Murphy. Jonathan Driver, the erudite global ambassador for all things both Blue and Johnnie Walker is in Sydney town again this week, with a $200,000 bottle of whisky in his rollaboard. Driver has both the responsibility and privilege of being the public and private face of Johnnie Walker Blue Label, and the expressions above that. It’s the stories from the pinnacle of planet blue that caught my attention while sharing a table with the man himself and a curated culinary experience from #baxterchef. 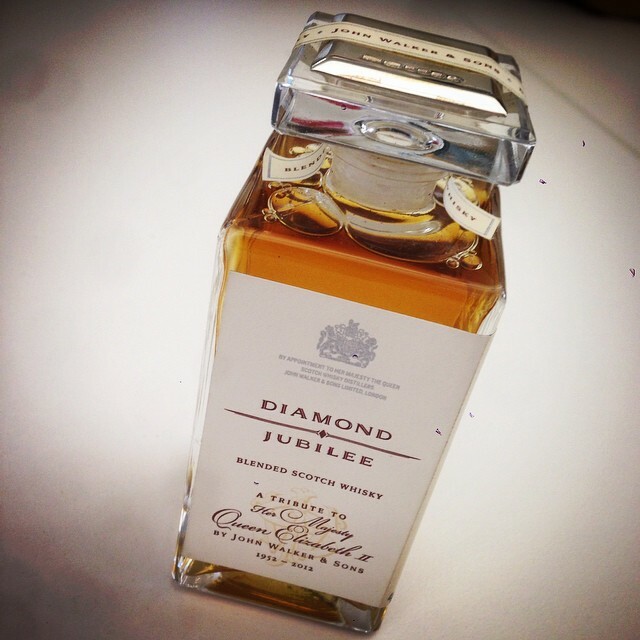 The Diamond Jubilee project has opened plenty of cloistered doors for him around the world these past few months. If you’re lucky enough to be spending time with him, make sure you ask about a man with a penchant for rock hard food, and the wisdom of informing at elast a few close friends of your whereabouts while moving in the most rarefied circles.